Washington and Lee is a private liberal arts university located in Lexington, Virginia about 140 miles from Richmond, Virginia and 180 miles from Washington, D.C. W&L is named for two legendary namesakes: George Washington, whose endowment saved the school back in 1796, and Robert E. Lee who served as the school’s president from 1865 to 1870. The university’s campus is home to just under 1,900 students and surrounded by the beauty of the southern Appalachians. The small town of Lexington is both picturesque and historic just a 5 minute walk from campus. Nearest Airport: Roanoke, Virginia is approximately a one-hour drive and Charlottesville is one hour and 15 minutes. Dulles in Washington is further, approximately a 3 ½ hour trip. Stay: Right on Main Street check in to The Georges. The 18 rooms are housed in two buildings steeped in history, and redone with only the best modern luxury’s and conveniences. Other top choices include the Hampton Inn Lexington and the Robert E. Lee Hotel. For a full listing of other area’s B & B’s , cottages and hotels click here. Coffee: Grab a morning brew at quaint Lexington Coffee Shop or at Pronto Caffé & Gelateria opened in 2012 by two local Lexington high school sweethearts. The Tasting Room offers great roasts as well. Breakfast: Blue Sky Bakery is a cozy corner cafe with delicious baked goods, plus homemade soups & sandwiches later in the day. You’ll find standard breakfast fare at Sweet Treats Bakery. Lunch: Vegans and vegetarians will be happy at Kind Roots Café, though there are plenty of options for meat lovers. Kind Roots is also a good spot for breakfast. Bistro on Main is considered to have the best burger in the area along with a vast menu that works just as well at dinnertime. Other popular lunchtime choices are Pure Eats and Macado's. Casual: Head to Taps at the Georges for upscale pub food. Mano-Taqueria is the spot for casual Latin fare featuring 7 homemade hot sauces to spice up your meal. A Step Up: Local hot spot the Southern Inn’s menu reflects favorites from across the south. The Red Hen serves a daily menu of farm-to-table New American cuisine in a rustic-cozy space. Haywood’s, at the Georges hotel, weekly menu showcases the best of the season. Rocca Bar Ristorante in the Robert and Lee hotel is a good stop for authentic Italian. Sweets: For over 30 years Sweet Things has been a Lexington landmark serving homemade gourmet ice cream in their famous hand-rolled waffle cones. Local Attractions: History buffs will be delighted, as the campus of W&L is a living museum with both the Colonnade and Lee Chapel on the National Register of Historic Places. Visit the Lee Chapel Museum and see Robert E. Lee's preserved office, just as he left it, and the Lee family crypt. Traveller, Lee’s horse is buried just outside the museum. In Lexington other notable historic sites include the George C. Marshall Museum on the VMI campus, Stonewall Jackson's home and grave, and Sam Houston's birthplace. Nearby in the Allegheny and Blue Ridge Mountains and the Shenandoah Valley outdoor enthusiasts will find mountain biking, canoeing, kayaking, climbing, fly fishing, white water rafting, tubing, hiking, and skiing. Within a two-hour drive, is four million acres of national and state forests, in Shenandoah National Park and the Appalachian Trail. Just toured the Washington & Lee Campus? 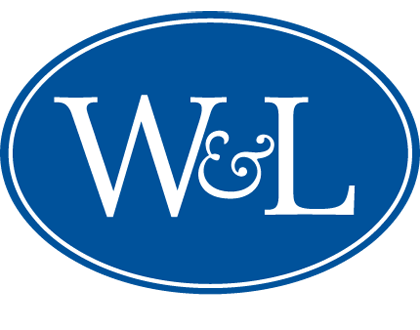 Are you a W & L student, parent or Alumni? Fill out this 2 minute survey to supplement our Daytripper University Guide for Washington & Lee!